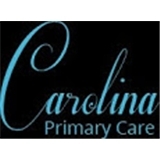 Carolina Primary Care & Apollo Urgent Care (Morrisville) - Book Appointment Online! Welcome to Carolina Primary Care & Apollo Urgent Care--Where our number one goal is to make you feel better! Our Vision is to offer the best care while keeping costs and wait-time to a minimum. We specialize in Primary Care, Family Medicine, and Urgent Care. I was very impressed and satisfied with my doctor. She is very caring and genuine which made me comfortable and it was easy to open up.